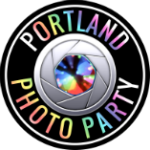 Thank you for your quote request for Portland Photo Party. We are verifying availability for your date and we will soon send you information about our current deals. If you do not receive our response within 1 working day (check your spam folder), please call us toll-free at 1-866-802-8205.